There are many misconceptions about shampooing, but here are the most common ones we come across. Cold rinses may be invigorating but they don’t make your hair shinier or close the hair cuticle, conditioner does this. A cold rinse may in fact be bad for your hair as it constricts the blood capillaries in your scalp which carry vital nutrients essential to healthy hair growth to each follicle. Not washing your hair will not enable your scalp to cleanse itself, it will just become dirtier! You would not stop washing any other part of your body, so why your scalp? A shampoo does not stop working because your hair gets used to it. If your shampoo stops giving you the results you want, the condition and needs of your hair have most likely changed. For instance, you may have had it cut, coloured, relaxed, straightened or grown it longer. Or the season may have changed i.e. it is more humid, the sun is stronger or the air is dryer. Your state of health or hormone levels may also be different from recent illness or your monthly cycle. The same shampoo used on the same hair under the same conditions produces the same results. If you are using the right shampoo for your hair texture and needs, you will get the same great results. It is often thought that frequent shampooing ‘dries out the hair's natural oils’. However, quite the contrary! 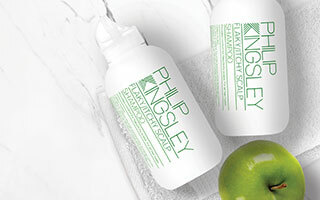 Shampooing, if done correctly and with the right products, actually remoisturises the hair. The natural oils produced by your scalp simply sit on top of your hair shaft and do not penetrate it. It’s moisture (i.e water) that does this, alongside a well formulated conditioner. Anyway, who wants oily hair? You might as well say that the more you bathe, the dirtier you get. Clean hair shows grease faster than hair that is already oily; similarly, clean clothes show dirt immediately, whereas dirty clothes have to get much dirtier before it becomes noticeable. It is a matter of individual perception. Just as cleansing an oily face doesn't produce oiler skin, shampooing does not make your scalp oilier. Things that actually can increase oil production are hormones and stress. This doesn’t apply nowadays. In the old days, before modern shampoo, you would have washed your hair with soap. These soaps would deposit an alkaline film on the hair, dulling the hair’s cuticle. An acid rinse, from lemon or vinegar, would neutralize this alkaline deposit and add shine. Modern shampoos do not create an alkaline film so an acid rinse is unnecessary. 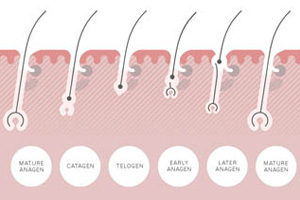 If you would like to find out more information, please contact one of our clinics based in London or New York who specialise in hair and scalp issues.